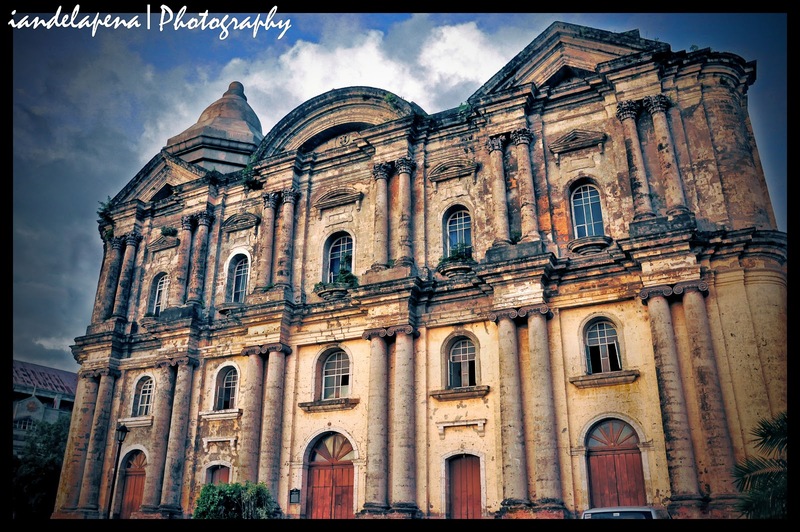 The Saint Martin of Tours Parish, more popularly known as the Taal Church is regarded as one of the largest churches in Asia. The Church managed to survive the fury of the Taal Volcano after relocating along with the town it self. Locals say that Taal's (the town) location is actually its third. The first location of the town was located at the mouth of the pansipid river. The second location was still by the lake nearer to its name sake volcano. However the town was forced to move when an extremely violent eruption happened during the 1800's when the whole town was devastated by the eruption. Up to this day the ruins of the original church still stands where hundreds of residents of Taal took cover thinking that they are safer inside the church. Unfortunately they were not spared. A monument now stands on the side of the ruins. Here, Jesus appeared to St. Martin of tours (the one on a horse) as a beggar. As you get close to the walls of the ruins you can observe the materials used to build it are mainly corals. You can feel and imagine as you go inside the perimeter of the walls how the people could have taken cover and felt safe inside. 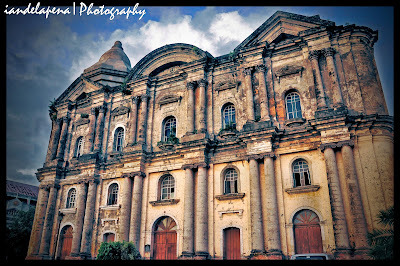 Today, a community still exists on the old Taal town which is now known as San Nicolas. 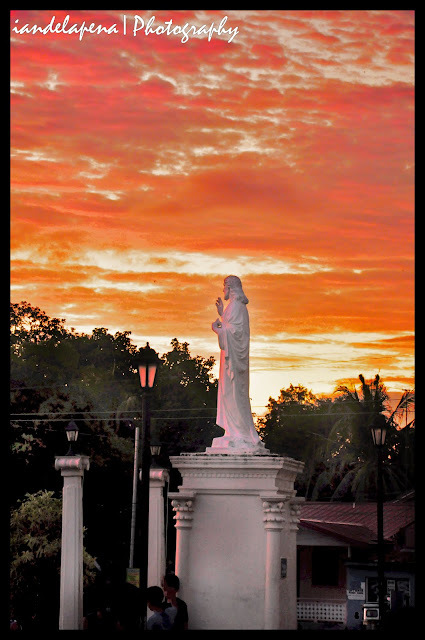 The patron saint of the town was also changed to the saint who's the name of the town was named after. Nice post! Short but sweet - I should learn to keep my posts short. Mashado akong wordy kahit sa comment ko. Haha! Ang ganda ng color nung sky sa 2nd pic, gumamit ka ba ng filter dito? im glad somebody like you admire the beauty of our town. someday i will invite you to come visit my house in taal. my dad own one of the oldest houses in town. its not one of those spanish houses.its a nipa house, made of bamboo and adobe stones. my name is noel bote, by the way. im an artist too like you, but im not broken hearted like you. cheer up. life is short. be happy all the time. it always makes me happy when someone writes about taal and also the old taal kase yung old taal is one of those undiscovered places in batangas province.